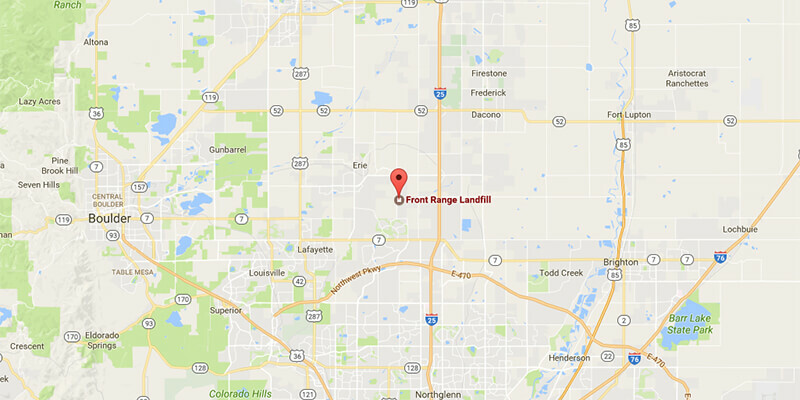 The Front Range Landfill is a modern, municipal solid waste landfill in Erie, Colorado that captures landfill gas as a safe and renewable energy source. The Front Range Landfill is designed, operated, and monitored to protect the environment and ensure compliance with local, state, and federal regulations. Our goal is to create an environment where self-directed, empowered employees strive to consistently fulfill our constituent commitments and seek to create positive impacts through interactions with customers, communities, and fellow employees, always relying on our Operation Values as the foundation of our existence. Learn More Landfill Gas-to-Energy operation and environmental stewardship. Do the right thing, at the right time, for the right reason is our promise to customers, employees and stakeholders. Providing courteous, professional waste management services are our promise to the communities we serve. The Front Range Landfill supports employees' personal and professional growth in an environment where people take pride in their work. With an eye towards the future, we constantly monitor and evaluate new technologies and programs that can enhance our commitment to the environment.